Changing times have forced Land Rover to modify its tried-and-true SUV formula away from big, expensive and fuel-thirsty status symbols, to smaller, more efficient luxury SUVs. This strategy helps fill a niche while simultaneously drawing in younger buyers, as is evidenced by the runaway success of the 2015 Land Rover Range Rover Evoque. One interesting detail is the panoramic roof which covers most of the roof. My range rover evoque is sporty, classy and fun to drive. I have the 2 door model which is extremely eye catching. It handles really well and is an all wheel drive when needed. Fuel economy is above average. The panoramic roof adds to the experience of cruising in the car. The all leather interior is very comfortable. The seats are heated as is the steering wheel. The only problem I have had was covered under warranty, the evoque has been an enjoyable car to own and to drive. Great luxury all-wheel drive SUV. 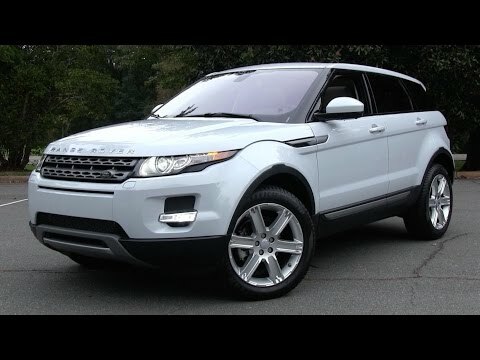 Range rover Evoque is the perfect cross between luxury and all-wheel drive SUV. It is small enough to comfortably get around in the big city, unlike the full size range rover or the sport. All the features that come with European luxury cars are excellent. The all-wheel drive capabilities of the land rovers cannot be overstated. Fabulous land rover range rover Evoque. No issues with the vehicle. I love the acceleration, I love the smooth handling, I love the lack of "roll" when cornering, I love the panoramic moonroof, and the seats are comfortable both front and back. The car gets great gas mileage even in sport mode. All around I highly recommend the land rover range rover Evoque.